Just as much as the success of an organization comes from its personnel, so does its failures. For example, in today’s extremely sensitive cyber environment, what good are the security policies in the company if one of its IT department personnel is dishonest? Think about the liability and havoc that one dishonest IT technician can cause to his or her organization if the suggested policies attempting to minimize cyber-attack are ignored – or worse, consciously violated! Per the Association of Certified Fraud Examiners, employee theft accounts for $50 billion in annual losses for businesses. In fact, 33% of bankruptcies are caused by employee theft. Per the Harvard Business Review, the most successful companies are more engaged in talent acquisition, because they are aware that as much as 80% of employee turnover is due to bad hiring decisions. But how do you pick honest, loyal and dedicated people, knowing that, 81% are falsifying their resume and 78% of them lie during the recruitment interview (according to the University of Massachusetts)? According to tlnt.com, the cost of a bad hire can mount to anywhere between 30% and 400% of an employee’s annual salary. At an average salary of $60,000, the cost to rehire and onboard could be anywhere from $20,000 to $240,000 per position. 28 years of dealing with personnel has taught me that an ounce of prevention is worth a pound of cure. It always costs less to buy an insurance policy, rather than having to pay for a burned house. 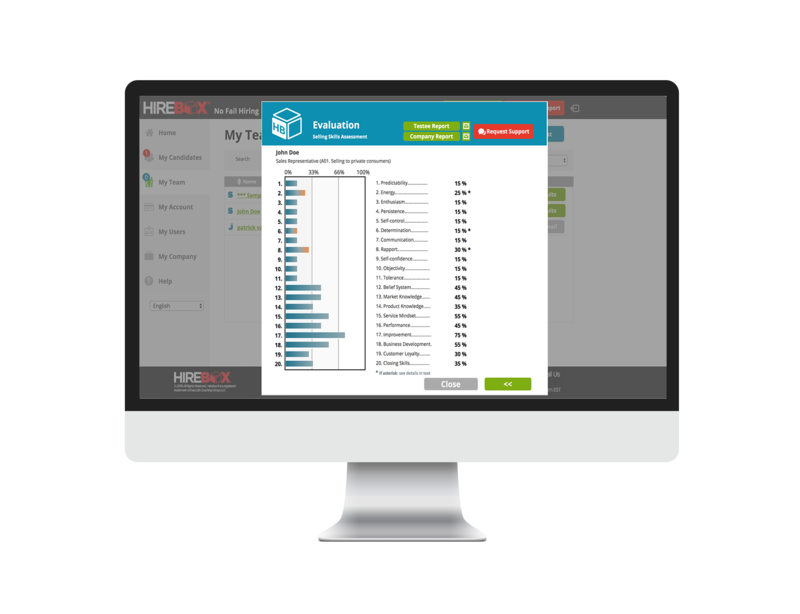 The HireBox.com team loves applicants who try to falsify the test results. 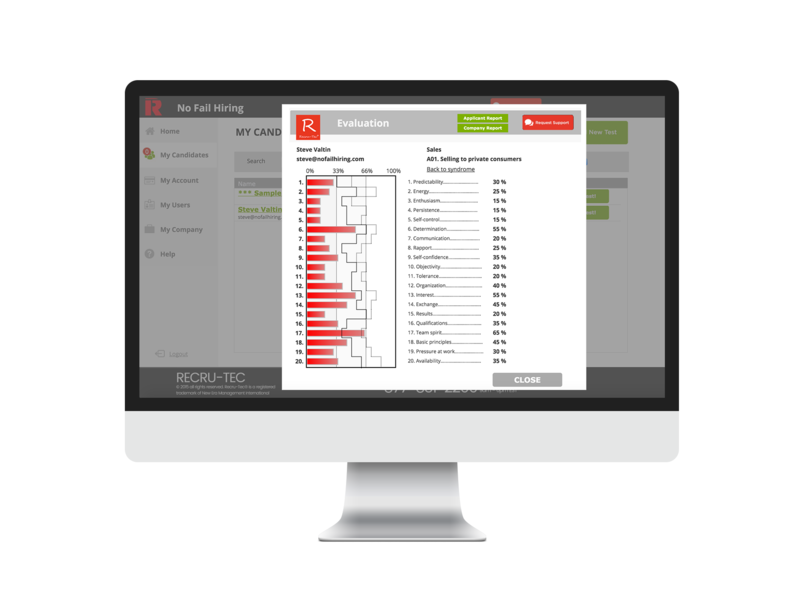 Couple that with a deadly precise interview technique provided by hirebox.com, and you can count on almost 90% certainty and accuracy in your global hiring process. This can make the whole difference between profitability and struggle… or even bankruptcy. If you ever hired a very dishonest employee, you know what I am talking about! 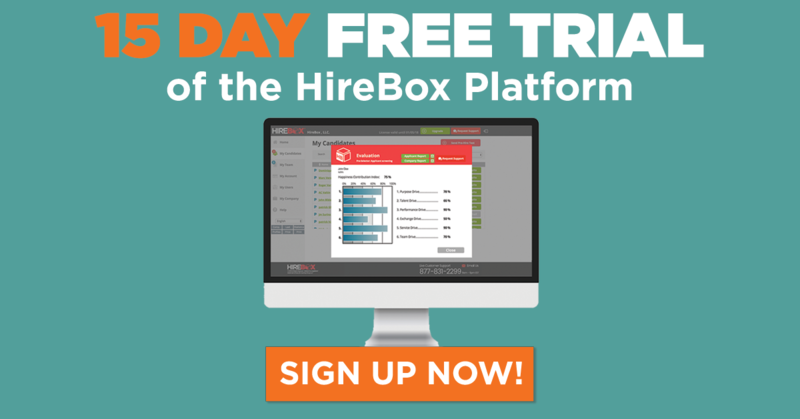 Request your free trial of the Hirebox testing platform and find out for yourself how accurate our pre-hire assessments can be. Visit www.hirebox.com and register.